We acquired a large shipment of the PNI Sensoro RW3100 Steel Eye radar detectors which retailed at $169.95, We have them on special for only $69.95 while supplies last. 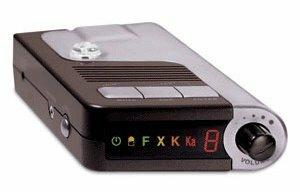 The PNI RW3100 was the first and one of the very few current cordless radar detectors with the capability to detect the newer POP mode radar guns. The RW3100 operates on 2 rechargeable AA Batteries or the included power cord. Battery charger is also included so you do not need to keep buying batteries for this unit. The new Cobra XRS-R10G's have been in stock and selling well at our low price of $299.95. The XRS-R10G is relatively the same as the windshield mounted model the Cobra XRS-9960G. It uses the same antenna and offers the same performance but the Cobra XRS-R10G is more of a stealth installation. As you can see in the picture above the Cobra XRSR10G is a 2 part unit. 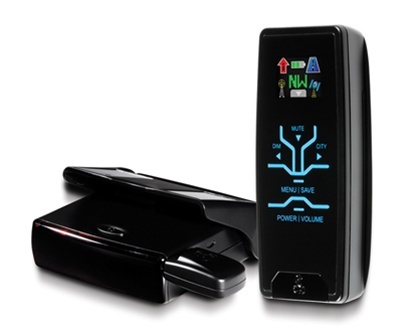 The main unit gets hard wired next to your rear view mirror (Hard wire kit comes with the unit) and the remote control unit with the display can be put anywhere in your vehicle. The remote control unit uses a lithium battery so it can go some time before needing to be charged. 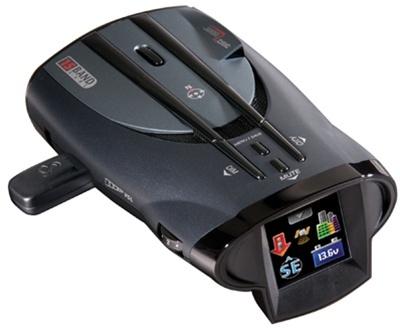 If you want the features of the Cobra XRS9960G (Radar Detector + Red Light & Fixed Camera Protection) but want it to be more stealth and not sitting on your windshield than the Cobra XRS-R10G might be the unit for you. At $299.95 it really has no competition in the price range with the features that it offers with the included GPS Locator. Updating the GPS database is a snap and took us less than 5 minutes to install the software and update the GPS Locator by just connecting the GPS locator to our computers USB Port. 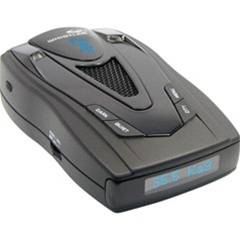 We have been testing the Cobra XRS-9960G radar detector for a few weeks now and I can say its definately a decent unit for its current selling price of $259.95. The number one question we hear from people is why when they ordered a Cobra XRS-9960G did they receive a Cobra XRS-9955 in the box? Ok, Here is the deal. The Cobra XRS-9960G is actually a bundle sku which contains the Cobra XRS-9955 and the RDA GPSL55 GPS Locator. The huge benefit of buying the XRS-9960G over the individual components is that when you buy the XRS-9960G it is also bundled with a Lifetime Subscription to the AURA Database for Verified Speed and Red Light Camera locations for the entire United States and Canada. If you purchase the XRS-9955 & the RDA GPSL55 GPS Locator separately it will not only cost you more to buy the two items but you also have to pay to access the AURA database to get updates. So if looking for a radar detector under $300 and need red light camera protection definately take a good look at the XRS-9960G bundle! For $259.95 you not only get Cobra's top of the line detector (XRS-9955) you get the GPS Locator which will alert you to verified Speed and Red Light Camera locations, dangerous intersections, and reported Speed Trap locations for entire United States and Canada. We hope everyone has a great new year and we look forward to all the new 2009 products that will be coming out soon. Once we start receiving the new 2009 product information we will post it here. Thank you for being part of our website and as always if you have any questions always feel free to contact us.